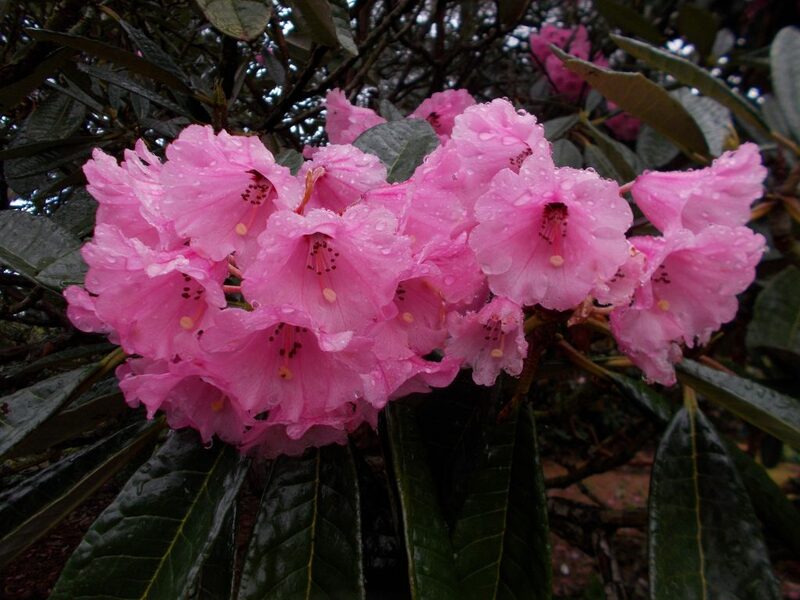 The Scottish Rhododendron Festival runs from the start of April until the end of May and aims to promote the varied collection of Rhododendrons collected and grown throughout gardens the length and breadth of the country. 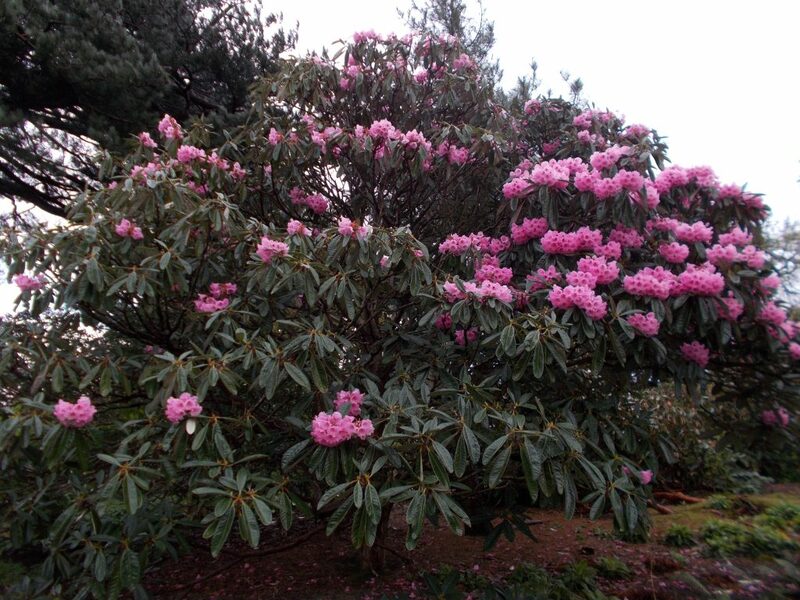 This splendid specimen, Rhododendron montroseanum is growing and flowering in the upper woodland garden. The packed racemes of flowers with pink corollas are borne at the terminal of last year’s growth. With the fine weather last summer the flower bud initials were laid down well and the reward is the magnificent display this month. A native to SW China and NE Myanmar growing to c.15 metres on hillsides as the dominant vegetation. 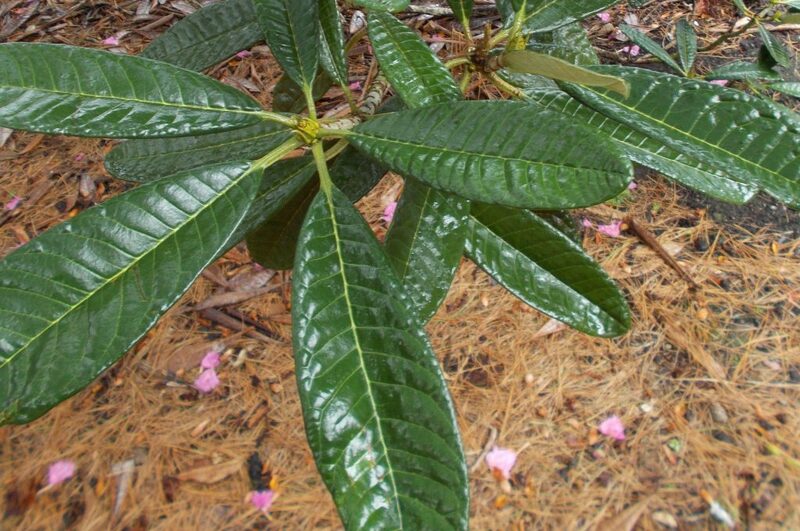 This is one of the big leaved Rhododendrons in the Grandia sub-section, following rain the foliage has a glossy sheen.